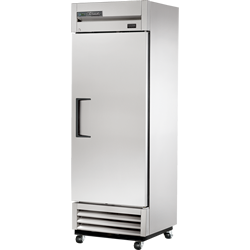 KCS Offer a wide range of refrigeration. 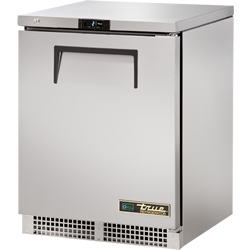 We are proud to be a sales and service partner with TRUE. 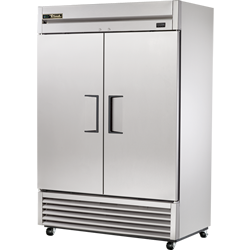 High capacity, factory balanced refrigeration system that maintains cabinet temperatures of 0°F (-18°C). 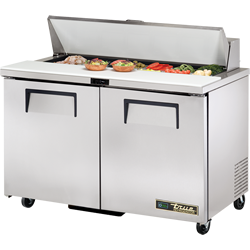 True’s food prep units are designed with enduring quality that protects your long term investment. Energy saving, environmentally friendly, exclusive forced-air refrigeration system holds 33°F to 41°F (.5°C to 5°C). 8″ (204 mm) deep, 1/2″ (13 mm) thick, full length removable cutting board included. Sanitary, high density, NSF approved white polyethylene provides tough preparation surface. 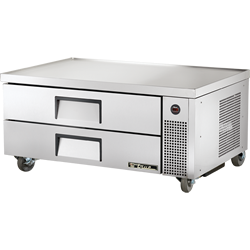 Each drawer accommodates Two (2) full size 12″L x 20”W x 6″D (305 mm x 508 mm x 153 mm) food pan (sold separately). Interior attractive, NSF approved, clear coated aluminum liner. Stainless steel floor with coved corners. Door fitted with 12″ (305 mm) long recessed handle that is foamed-in-place with a sheet metal interlock to ensure permanent attachment. 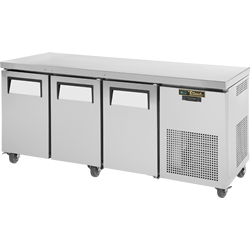 Each drawer accommodates one (1) full size 12″L x 20”W x 6″D (305 mm x 508 mm x 153 mm) food pan & three (3) 1/9 size or six (6) 1/6 size & three (3) 1/9 size pans per drawer (sold separately). Drawer will support varying size pan configurations with available pan divider bars (drawer pans sold separately). 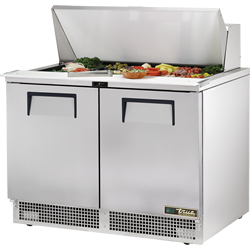 Stainless steel, patented, foam insulated flat lid keeps pan temperatures colder, locks in freshness, and minimizes condensation. Extra-deep 19 1/2 ” (496 mm) full length removable cutting board included. Sanitary, high density, NSF approved white polyethylene provides tough preparation surface. 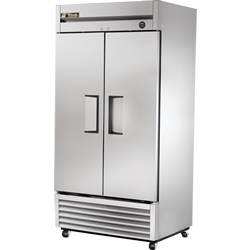 High capacity, factory balanced environmentally friendly forced-air refrigeration system holds 33°F to 41°F (.5°C to 5°C). 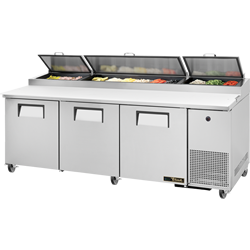 Interior – attractive, NSF approved, clear coated aluminum liner. Stainless steel floor with coved corners. 11 3/4″ (299 mm) deep, 1/2 ” (13 mm) thick, full length removable cutting board included. 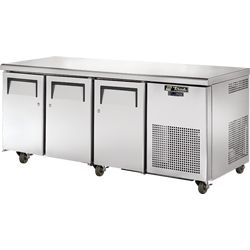 Sanitary, high density, NSF approved white polyethylene provides tough preparation surface. 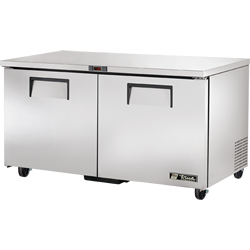 Patented forced-air design holds 33°F to 41°F (.5°C to 5°C) product temperature in food pans and cabinet interior. 11 3/4″ (299 mm) deep, 1/2″ (13 mm) thick, full length removable cutting board included. Sanitary, high density, NSF approved white polyethylene provides tough preparation surface. 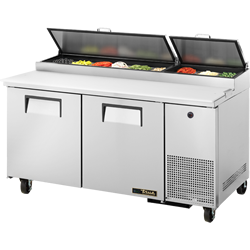 Stainless steel, patented, foam insulated lids and hood keep pan temperatures colder, lock in freshness and minimize condensation. Removable for easy cleaning. 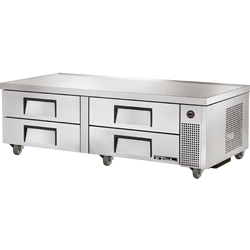 3 sets of 1/1 gastronorm rails with stainless steel shelves per door section. 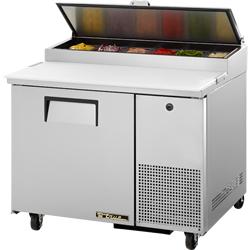 and the best value in today’s food service marketplace. Heavy duty PVC coated gray wire shelves. Automatic defrost system timeinitiated, time-terminated. Energy efficient, “Low-E”, double pane thermal insulated glass door. 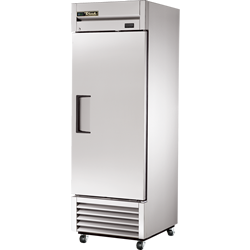 Energy Efficient, environmentally friendly forced-air refrigeration system holds 33°F to 38°F (.5°C to 3.3°C). 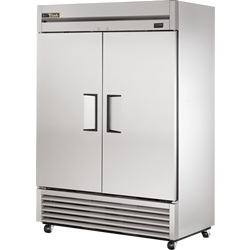 Oversized, environmentally friendly forced-air refrigeration system holds -10°F (-23.3°C). 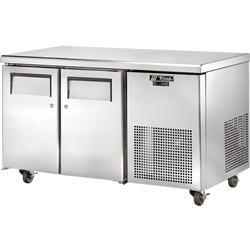 Ideally suited for both frozen foods and ice cream. 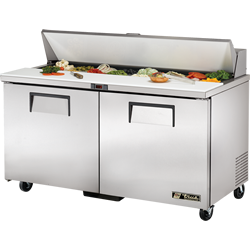 Interior – attractive, NSF approved, clear coated aluminum liner with stainless steel floor. 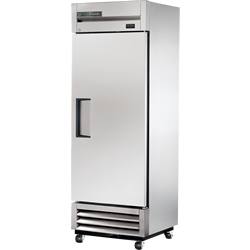 Oversized, environmentally friendly (R404A) forced-air refrigeration system holds -10°F (-23.3°C). 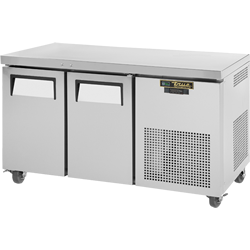 Ideally suited for both frozen foods and ice cream. 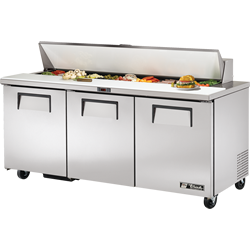 Designed using the highest uality materials and components to provide the user with colder product temperatures, lower utility costs, exceptional food safety and the best value in today’s food service marketplace. Each drawer accommodates three (3) full size 12″L x 20″W x 4″D (305 mm x 508 mm x 102 mm) food pans (sold separately). 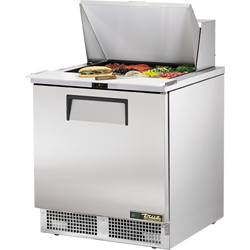 Cabinet top is one piece, heavy duty reinforced stainless steel. Drip resistant “V” edge protects against spills. Supports up to 1084 lbs. (492 kg). 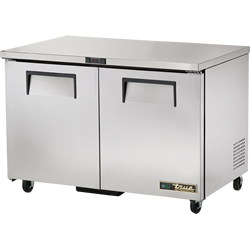 Each drawer accommodates two (2) full size 12″L x 20″W x 4″D (305 mm x 508 mm x 102 mm) food pans (sold separately).